It’s been 11 years since Rhen Richard’s rookie debut competing in the Professional Rodeo Cowboys Association. In the first 10 years, he’d never qualified for the Wrangler National Finals Rodeo. It’s been 11 years since Rhen Richard’s rookie debut competing in the Professional Rodeo Cowboys Association. In the first 10 years, he’d never qualified for the Wrangler National Finals Rodeo. So when he finally nabbed that elusive bid, he made sure to do it up right. By qualifying in not one, but two events. Richard is the only contestant in the 2018 Wrangler NFR competing in two events in every go-round of the 10-night, season-ending event at the Thomas & Mack Center. He made it through in tie-down roping, qualifying 13th, and as a team roping header, nabbing the 15th and final slot to compete in Vegas. 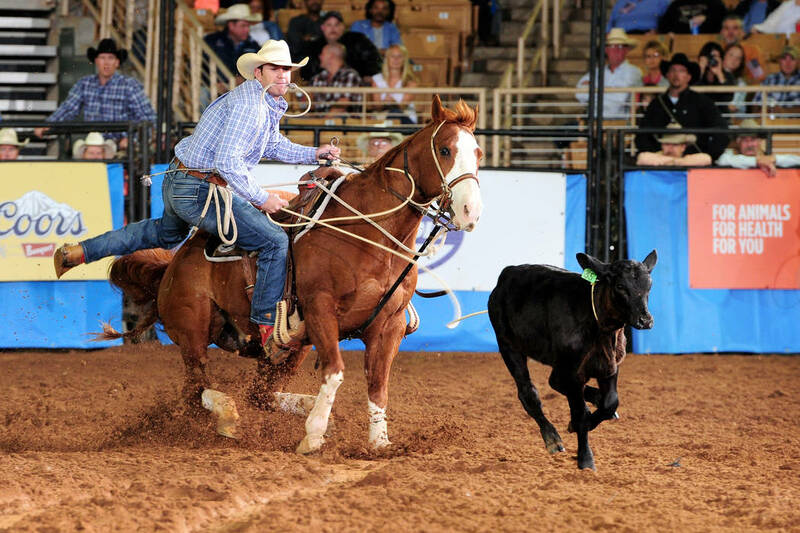 Of course, rodeo superstars Trevor Brazile and Tuf Cooper reached the finals of two events, as well – tie-down roping and steer roping. But the steer roping finals take place in November, separate from the Wrangler NFR. That leaves Richard, a 29-year-old from Roosevelt, Utah, as the lone two-event contestant this week. Richard’s spot in the team roping field went right down to the wire, as he finished the regular season with $65,232, edging out 16th-place Spencer Mitchell by about $2,300. 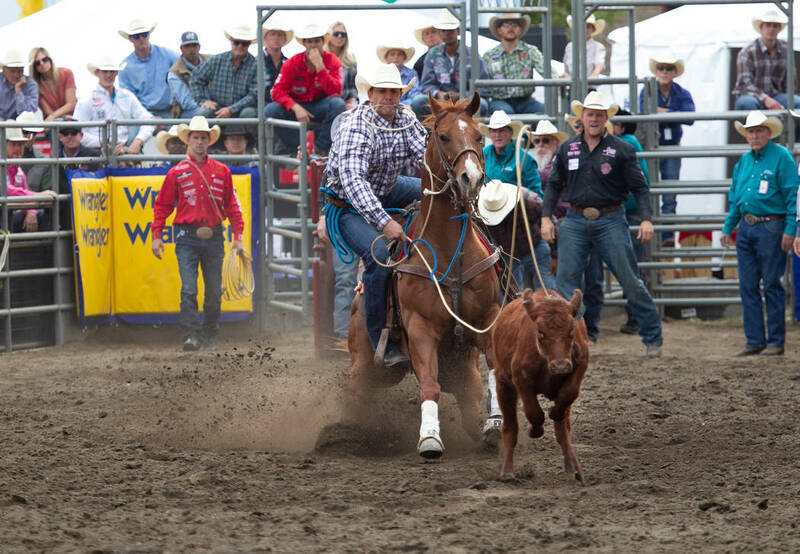 In tie-down roping, Richards had a few more dollars to spare, but it was still pretty close. He finished the regular season with $83,373, about $6,300 above the cutline. It’s an event Richard added to his repertoire after his first couple of years on the professional circuit. “I didn’t really start working at tie-down roping until my second or third year. I’ve really only rodeoed hard at it for six years,” he said. “This year, I had a little horse I trained, and he was really good in the winter rodeos. My second horse is an older horse I’ve had, and I’ve gotten to know places where he’s really good. I only rode him in 15 rodeos, and I won about $25,000 at those rodeos. And really it was more like besides the top three, as the Nos. 4-15 tie-down ropers came into the Wrangler NFR separated by less than $17,000. That’s an amount that can easily be overcome with just one go-round win this week, worth more than $26,000. But there’s actually more to this week for Richard than just team roping and tie-down roping. Since he’s had such success in two events, he’s sitting No. 3 in the race for all-around world champion, entering the NFR with combined winnings of $137,179. Granted, he’s got defending all-around champ Cooper and 13-time all-around winner Brazile well ahead of him, in first and second respectively at $239,857 and $234,154. Still, the first-time Wrangler NFR qualifier got a tip of the Resistol from Cooper. Richard and Cooper have grown up together in the PRCA ranks, with Cooper just a few months younger. Cooper not only has the bloodlines, as the son of Roy “Super Looper” Cooper, an eight-time world champion, but also another mentor in Brazile, who is married to Cooper’s sister Shada. Richard greatly admires the two cowboys ahead of him in the all-around race. “I think Trevor has obviously taught Tuf a lot,” Richard said, noting the 42-year-old Brazile continues to get the job done. “I used to stay with Trevor a bunch during the winter. He’s one of those guys you try to learn from by watching what he does. He’s got it all: horsemanship, the mental game, the ability to handle his rope. In the rodeo arena, he’s a warrior. As such, it would take a monumental 10 days and some good luck to shuffle the standings, so Richard is just trying to keep a clear head for one round at a time, not thinking about Cooper and Brazile. “A lot of people are talking about the all-around,” he said. “But you have to plan on those guys going out there and doing good. I’m gonna go enjoy it, not put a lot of pressure on myself in the all-around. Just rope, and see where the cards fall in the end.